Canterbury is located in east Kent, around 55 miles from London. The medieval centre, with its cobbled streets and timber-framed houses, is encircled by ancient walls, originally built by the Romans. Canterbury Cathedral, founded in 597 AD, is the headquarters of the Church of England and the Anglican Communion. Archbishop Thomas Becket was murdered in the cathedral in 1170. Geoffrey Chaucer wrote his famous Canterbury Tales in the late 14th century and playwright Christopher Marlowe was born here in 1564. The city has three universities and Canterbury College is recognised for the support it has given to the International Business College in Vladimir. 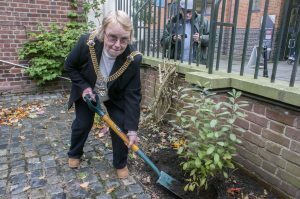 In 2010 the Best Lane garden in the heart of the city was re-dedicated as the Three Cities Garden. It is planted with native species from England, Russia and the USA. 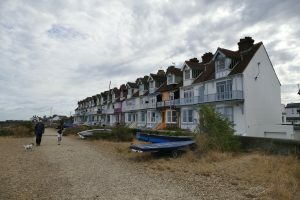 Canterbury District includes the coastal towns of Herne Bay and Whitstable, both famous for their seafood.